Let me introduce myself; I am Kim. I share ideas, thoughts, and creations at my blog Life’s Journey to Perfection. Today, I am very excited to share one of my treasured traditions. As I think back to Christmases as a little girl, I am flooded with pleasant memories and fun traditions. One of these was the excitement as each year we set out our family’s nativity. My mom had a cardboard scenic background that we would set the beautiful nativity pieces in front of. When I was a young woman, I received a beautiful gift from one of my Young Women leaders. 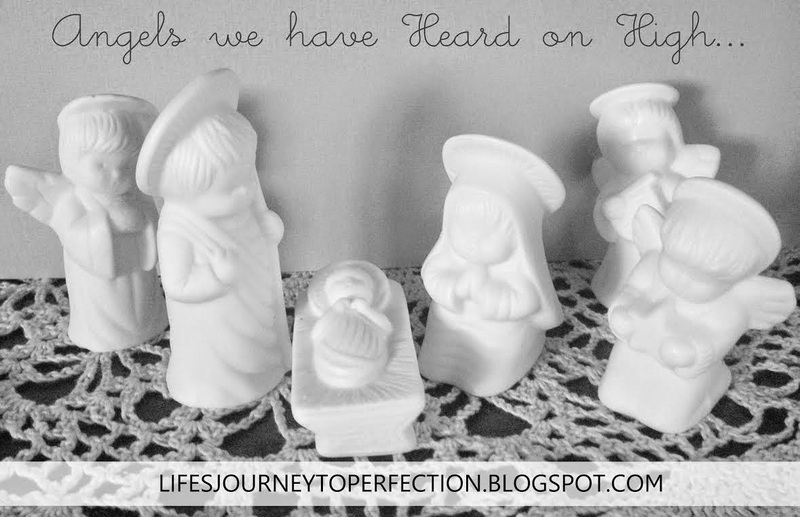 It was a beautiful white nativity set. It was small and perfect to display in my own bedroom. I still have this set today and I continue to set it up each Christmas. I am filled with gratitude to that Young Women leader each time I set it up. When my husband and I were married one of the first things I wanted was my own nativity that I could set up each Christmas. My mom fulfilled that wish and I was given a beautiful nativity. 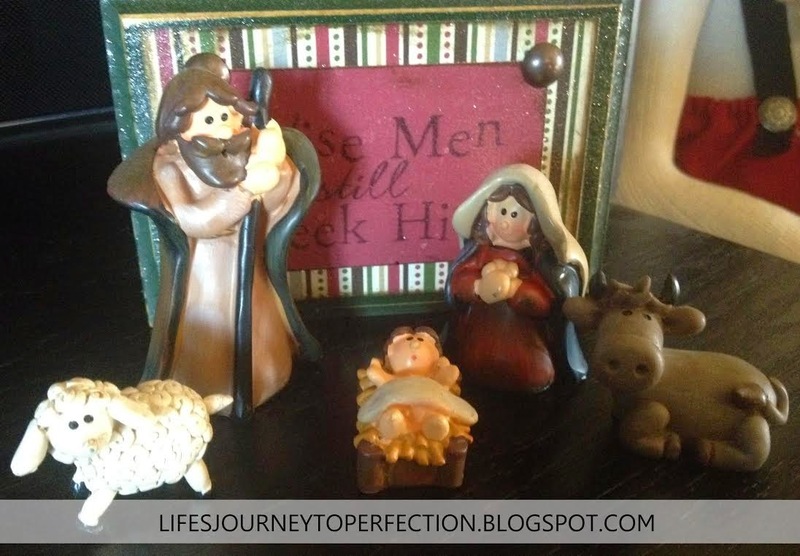 Each year I love displaying this creche' and using it to teach my children about the Savior’s birth. These nativities have become a tradition, started when I was a child and continued in my own family with my children. It seems like each year I have more of a desire for our family Christmases to focus more around the Savior. Here are some other nativities we have displayed in our home. This nativity is one of our newer ones. 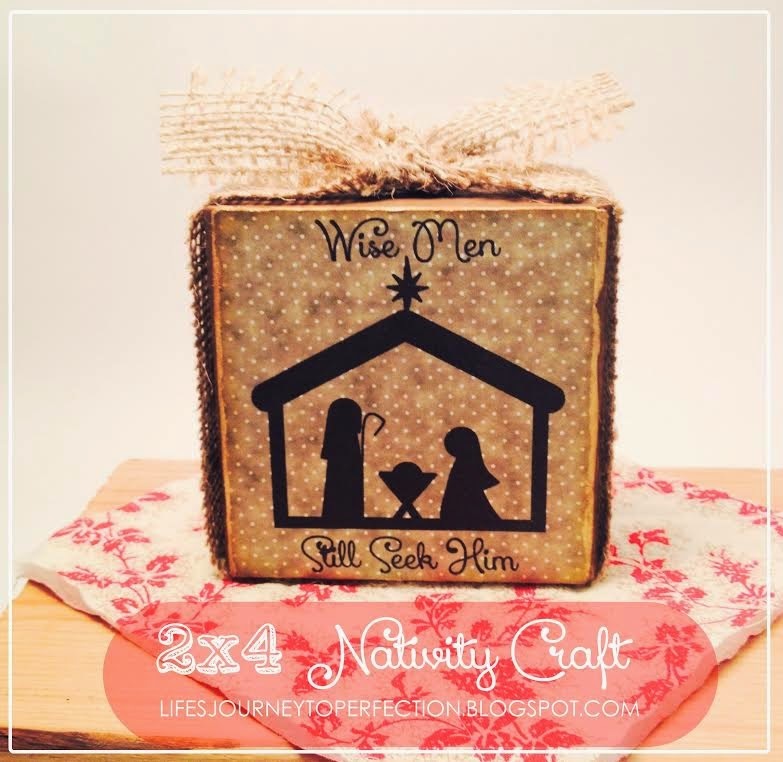 I love placing it in from of the block “Wise Men Still Seek Him”. The last two are nativity crafts which I created this year. The first is a fun block craft we made with the Young Women in our ward. The printable and tutorial are on my blog. 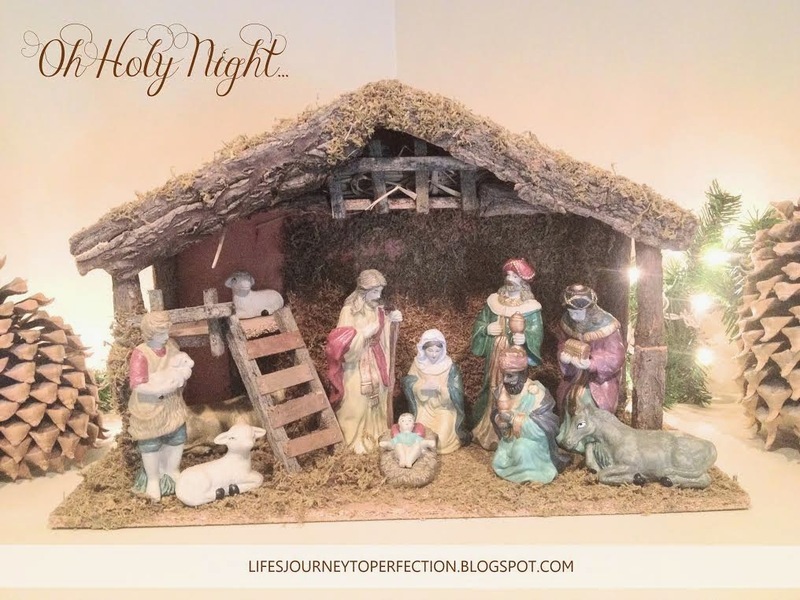 I love this because it is a simple way for that special, holy night can be displayed. 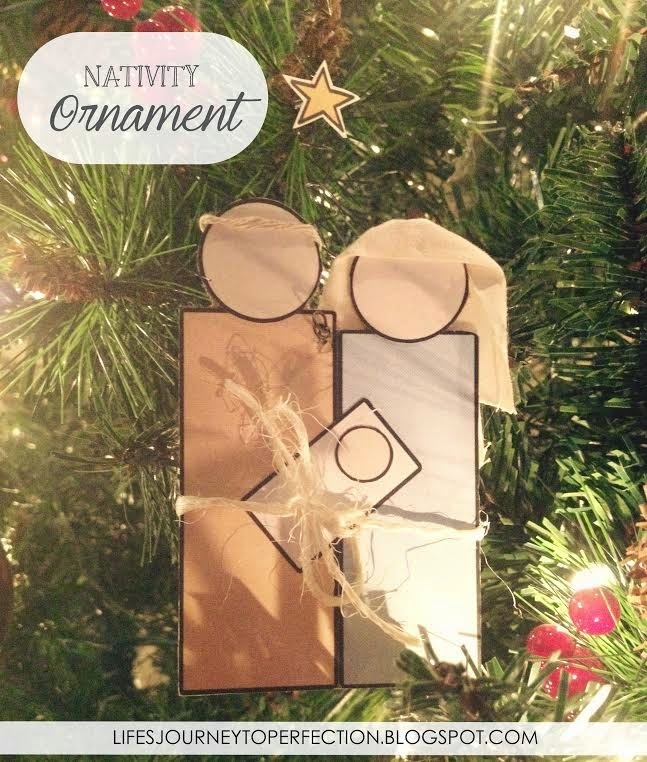 The second is an ornament that I made with my boys for family home evening. It was so fun to see their excitement and pride as they each made their own ornaments and placed them on their trees. The tutorial and printable can also be found on the blog. I treasure each one of my nativities. Each one brings with it its own unique beauty. But more importantly each carry with it the same message. That Christmas time is a time to reflect on the birth of the Son of God, focus on the many gifts he has blessed each of us with in our lives and commit to sharing his message and giving Him gifts of service. I look forward to many more years of enjoying in this tradition with my family.